I don’t think that I have ever called one of my own recipes “gross” before, but there is a first time for everything and these Dirty Q-Tip Treats are truly gross. To be honest, I kind of got a little waves of nausea making these with the kids last year, but the end result is a truly fantastic and disgusting treat that will be the hit of any horrific (that’s the goal, right?) Halloween party! 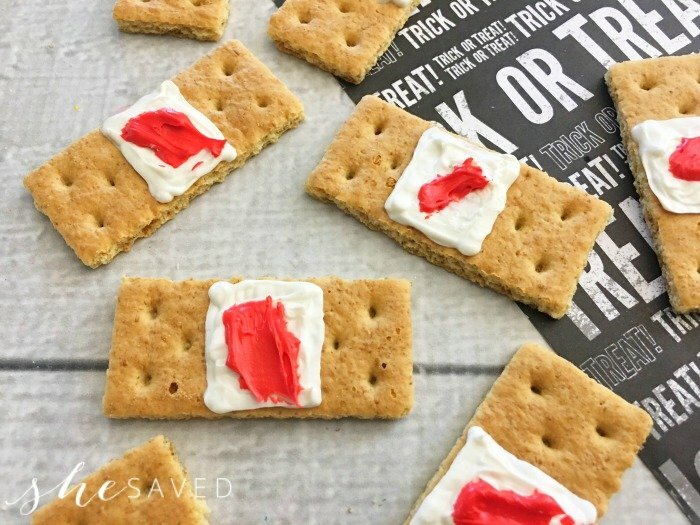 Even better, these gross little Halloween treats are SUPER easy to make which is perfect if you have little ones who like to help. Box of Q-Tips *I used real Q-Tips because they are inexpensive (check the Dollar Store!) and I also think the box makes a fun prop. You could also use sucker sticks. First of all, use a strong pair of scissors (or even garden shears) to snip off the ends of the Q-Tips. Then, just push each end into a marshmallow. Next you will need to melt your caramels. 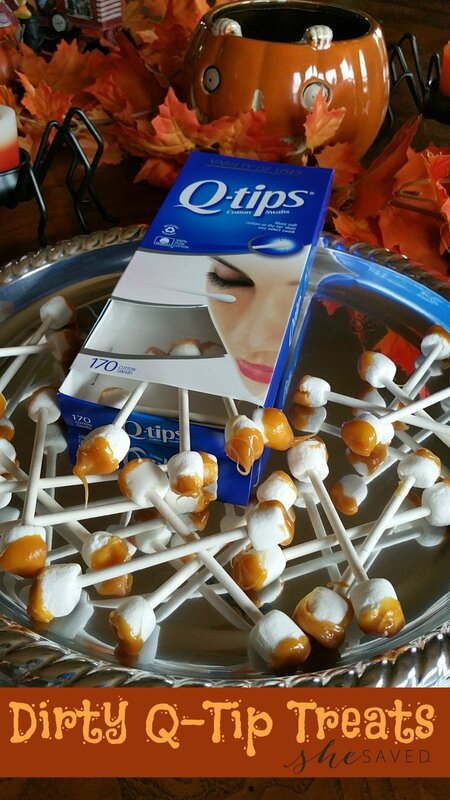 We used about 12 caramels to do all of these Q-Tips. Put them all in a small microwavable dish and melt slowly in 10 second increments stirring in between each microwave session. 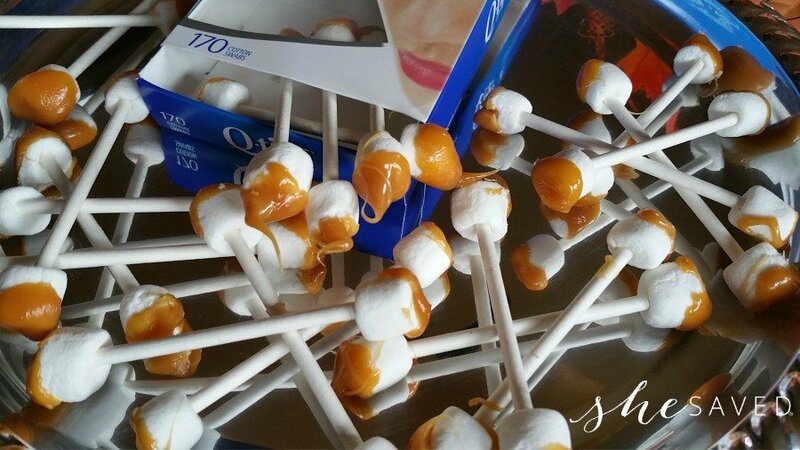 Once the caramel is melted, you can start dipping in the Q-Tips. Now remember, you are going for gross here and nothing is grosser than a big dangling dip of earwax on the end of a Q-Tip, so the kids especially loved the ones that had that nice tip on them! 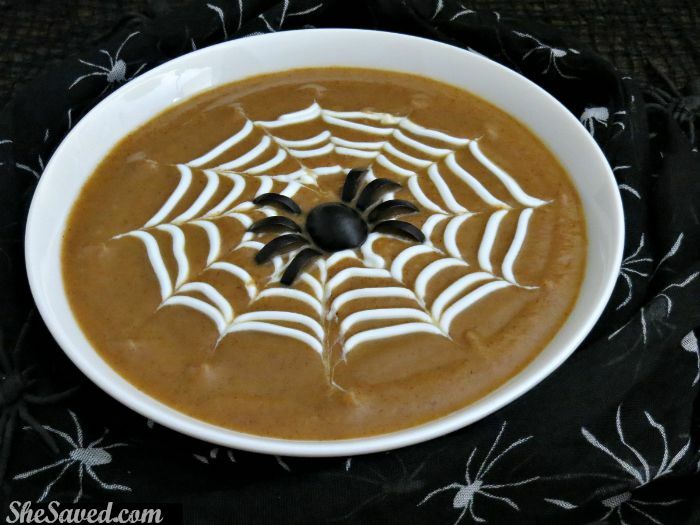 Of course, display is everything when it comes to Halloween, especially the gross stuff! Make sure to keep your empty Q-Tip box, as it works wonderfully as a prop! When we served these last year, everyone was afraid to even go near them until a few of the kids realized that they were actually pretty yummy, and then before I knew it, they were all gone. I will have to say though, the adults were not very interested in them at all. Hmmmm. Wonder why? Looking for other fun Halloween ideas? 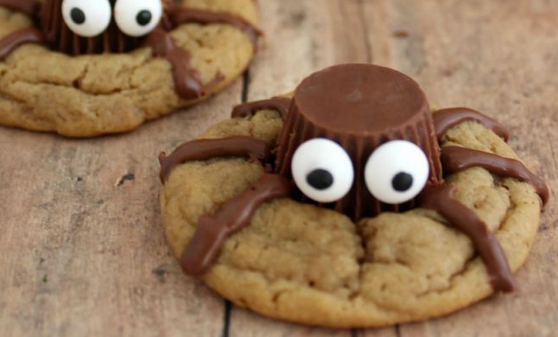 Go here to see my Spooky Spider Cookie Recipe. 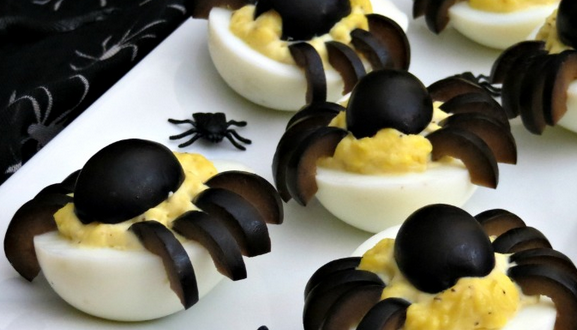 Check Out Our Recipe for Spooky Deviled Egg Spiders. These crack me up! Pinning for when my daughter gets older - because I can totally see her sense of humor loving these, too! How fun! Thank you for sharing at Merry Monday! Totally gross! and perfect for Halloween. This is just an idea but you could also use small pretzel sticks dipped in white chocolate. That way the kids could eat the whole thing. Nice idea. Though I'd probably use popeye candies for the sticks. If I'm making them a night before an event... how should I store overnight ? My friend and I were thinking the candy cigarettes would be good to use too... if yo can find them. Now that is a neat idea for Halloween! I'm attending a party next weekend, and I'm going to have to make these for sure. I promise you, they will definitely be a conversation starter!! Have fun and thanks for the comment Terra! The Carmel I used didn’t seem to set it was sticky and made presenting these made it a little challenging. Is there a brand of carmel you have used that works? Does anyone know how long these earwax q tips last before they go bad?,I am having a party on a Saturday and it is Wednesday so can I make them tonight and still be ok for Saturday’s party. Hi Peggy! They might get a little hard, but they will be fine if you make them early! (sorry, I just saw this!) Hope your party was fun! I used Kraft caramels and didn't have any issue but I have put them in the fridge before to help them harden. These were a hit with my fellow lunch lady friends I used candy cigarettes/sticks, kraft caramels and mini marshmallows and we put them in fridge and freezer to harder afterwards.